This vehicle was designed as a replacement for the Churchill VII AVRE. It underwent user trials in 1962 and started entering service in 1963. 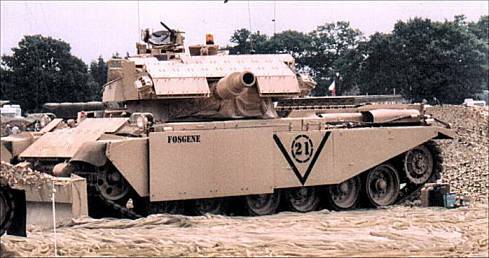 It last saw service in the Gulf War. 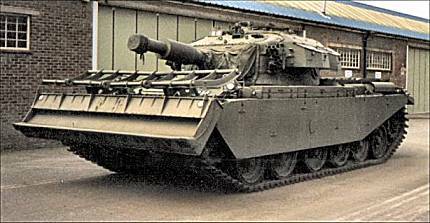 The main armament was an Ordnance BL 165 mm (6.5 inch) AVRE L9A1 gun firing a 64 lb demolition projectile at distances up to 2000 yards. 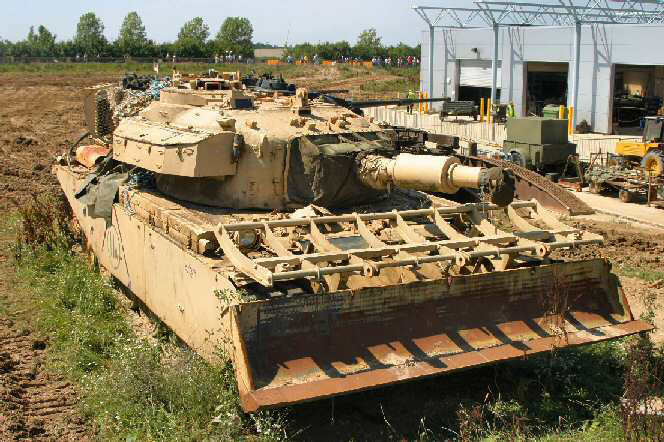 The dozer blade was the same as that of the Centurion Mk 5 dozer, FV4019. Above and just behind the dozer blade was a cradle for a fascine. The first four photographs in the body of this page are of a standard configuration AVRE 165. 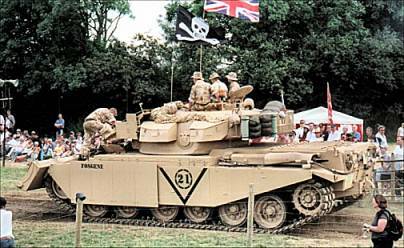 The other pictures show a restored vehicle photographed at the War and Peace Show 2002. 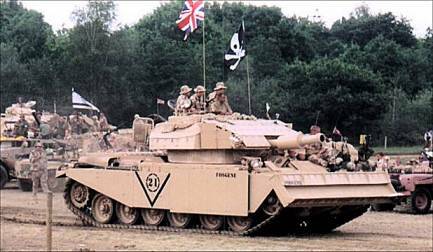 This vehicle is in the configuration used in the Gulf War. It lacks a fascine cradle and has additional armour.